An Android insider at an Android gathering in LA this week revealed that Google, HTC, and Samsung are doing everything they can to bring Android 4 (Ice Cream Sandwich) to their smartphone devices. The people at the Examiner specifically asked about the EVO 3D and was told it should be pushed out sometime next month. “The same with the Galaxy S II on all carriers,” he added. 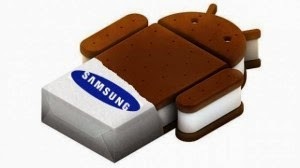 Google’s Android Ice Cream Sandwich operating system debuted last month to excellent reviews. The first smartphone to carry it will be the Samsung Galaxy Nexus, due on Verizon by the end of the year. During the gathering, it was also revealed that despite the fact that 3D smartphone sales haven’t gone through the roof, Samsung is preparing a 3D Android phone that will be available at the end of the first quarter in 2012. "Something, eagerly expected, is coming sooner than people think." Apparently he cannot talk much about this, but people is asking if he's refering to Ice Cream Sandwich. Anyway, it remains to be seeing if we get this update before 2012 arrives.